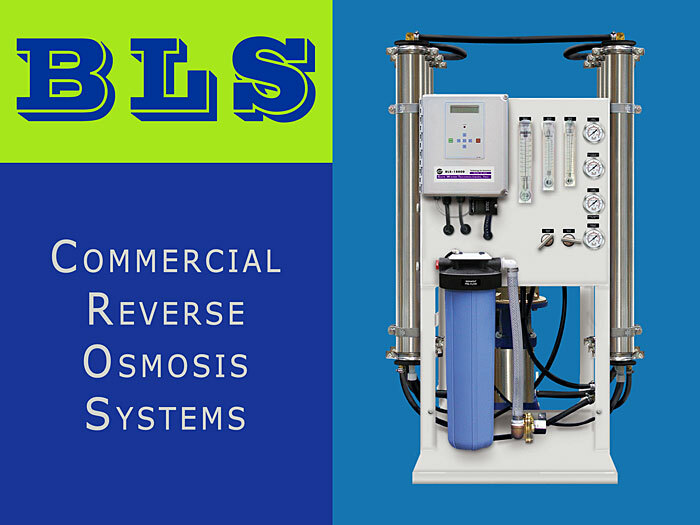 BLS Series Reverse Osmosis Systems are designed for commercial applications where floor space is at a premium. All major system elements are mounted within a sturdy Epoxy Coated Steel Frame, welded for long term rigidity and open for easy access to all components. These compact, heavy duty RO water purifiers for applications requiring 400 to 18,000 gallons per day water production are fully equipped with the instruments and controls needed for dependable long term service. BLS systems are fully assembled and pressure tested prior to shipping to ensure easy installation, simple operation, hassle-free maintenance, and many years of reliable and trouble-free performance.